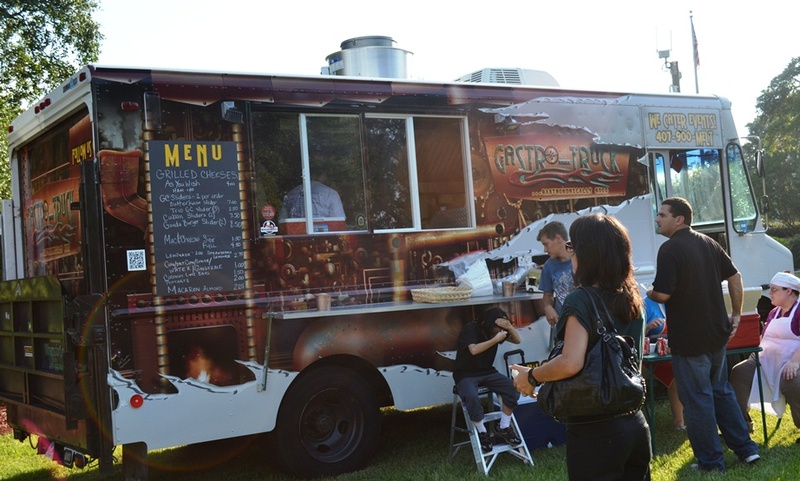 The Apopka Food Truck Round Up hit Apopka’s Kit Land Nelson Park by storm on Thursday, September 1st. The crowd was huge! 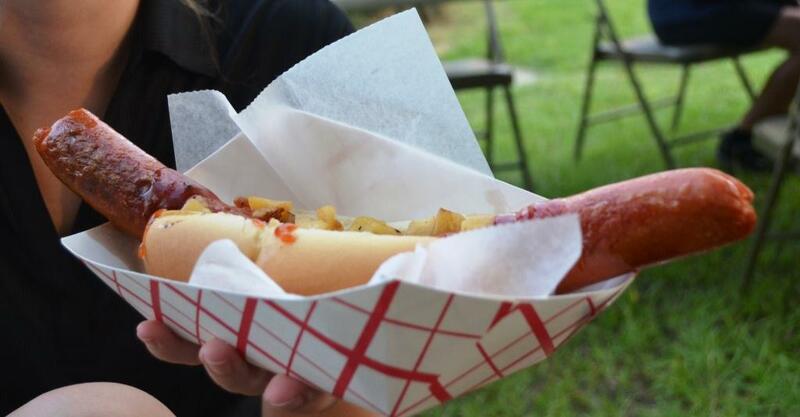 This event is hosted by the City of Apopka every 1st Thursday from 5:30 PM – 9:00 PM, but be warned certain items will sell out early in the night. Luckily the park isn’t too far away, so how can I say no to some of my favorite food trucks. The lineup included The Yum Yum Truck, The Crooked Spoon, Sunset Ice, Big Wheel Mobile Food Truck, Treehouse Truck, Winter Park Fish Co., KBBQ Box – Korean BBQ Taco Box, C&S Brisket Bus, and Gastro-Truck. Visiting this week included Shipyard Brewing and Monsta Lobster. It was great to finally meet Ashley from the City of Apopka in person, who coordinates this event . She is amazed how the event is gaining popularity with almost 1,400 in attendance this time. The City of Apopka does a great job with lots of tables, chairs, garbage cans, recycling setup in the area. Plenty of space to walk around and room to wait in line for your favorite bite to eat. It was definitely a little cooler than the August event, which was a huge plus. The Yum Yum Truck sold out again of cupcakes pretty early in the evening, with a line 20-40 deep all evening. The guys said people were buying them by the dozen, they even came prepared with 55 dozen cupcakes this time. Glad I got mine early! Especially the new Hootenanny Harvest Apple cupcake. It’s a delicious new addition to the lineup for September. The Gastro-Truck returned with no generator problems this time. 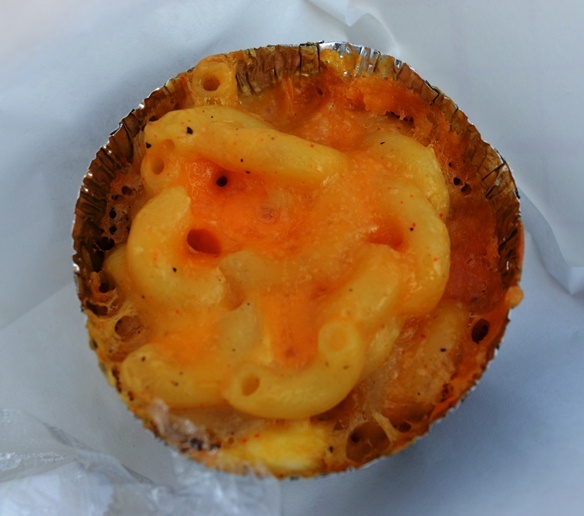 Great kid friendly food with grilled cheese on white bread with cheddar cheese and some of their homemade mac n cheese. Big Wheel Truck always has unique items on their menu with great local produce and unique additions. Tonight is no different with Bacon Fries, Buffalo Pork Belly Sandwich, and a Cuban Ironbeer Soda. All the truck owners continue to love the location, the crowd, and overall success of the event. Count me in for the next event on October 6th. October we will working with the Food Trucks and City of Apopka to raise money for WALK-N-ROLL® for Spina Bifida – Team Chance.